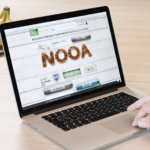 NOOA helps managers to lead organizational change. - Businessangels.fi - muutakin kuin rahaa. Home Start-up NOOA helps managers to lead organizational change. In the last 15 years, 52% of Fortune 500 companies have disappeared. The main reason is the lack of change readiness. We live in a competitive world, where companies must change fast if they want to survive. That’s why TripleWin Oy has developed a SaaS platform called NOOA that helps managers to lead organizational change. NOOA brings value for all levels in the organization and cuts costs in half in implementing strategic changes. TripleWin Oy and NOOA were selected to LandInChicago US market entry program. While we were in Chicago within two weeks we got 2 big enterprise customers, whose LTV is over $7m. We are also the winners of international Quality Innovation Award 2016 in the category micro and startup companies. The award is given to an innovation, which demonstrates novelty value, usability, learning, customer-orientedness and productivity. Previous articleHae rahoitusta yrityksellesi, osallistu BAF Live! tapahtumiin, tai etsi sijoittajaa.